The dermatology clinic diagnoses and treats skin diseases under the supervision of medical consultants and with the latest equipment. 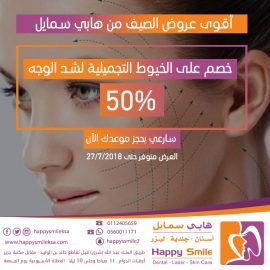 The clinic also offers many services for the skin and cosmetics, such as botox and filler injections, collagen injection, plasma injection, mesotherapy which includes hair mesotherapy, skin mesotherapy, body mesotherapy and fractional laser. Collagen is a natural protein injected under the skin to remove permanent wrinkles, lip floss and round cheeks. Collagen injection or filler is a non-surgical cosmetic procedure, where a certain substance is injected to refill and fill certain places to resize it and remove wrinkles and aging to restore youth and vitality to the face. Those who do this procedure can see the results and observe the difference immediately after the completion of collagen injection.